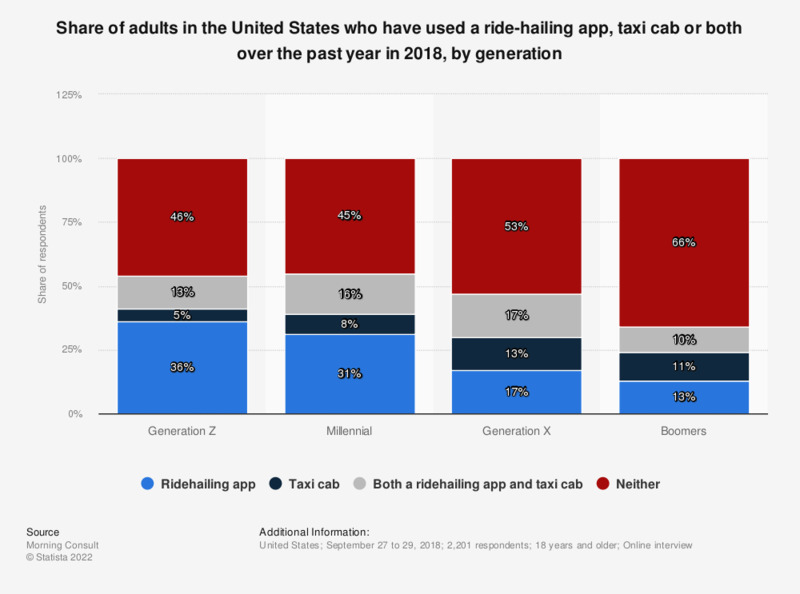 This statistic depicts the share of adults in the United States who have used a ride-hailing app, taxi cab or both over the past year in 2018, broken down by generation. During the survey, 66 percent of Boomers in the U.S. stated they have used neither service during the last year. Examples of ride-hailing apps are Uber and Lyft. Generation Z is defined by the source as 18-21 years old. Millennia is defined by the source as 22-37 years old. Generation X is defined by the source as 38-53 years old. Boomers is defined by the source as 54-72 years old. When did you last use a desktop computer?